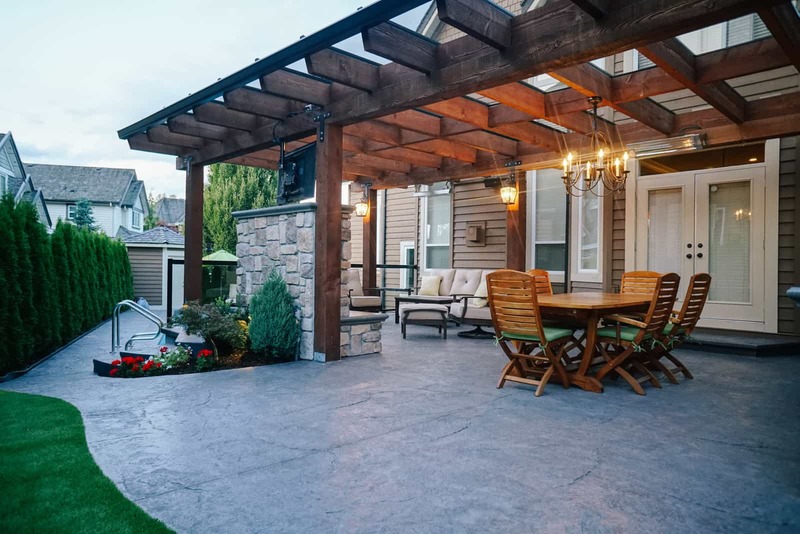 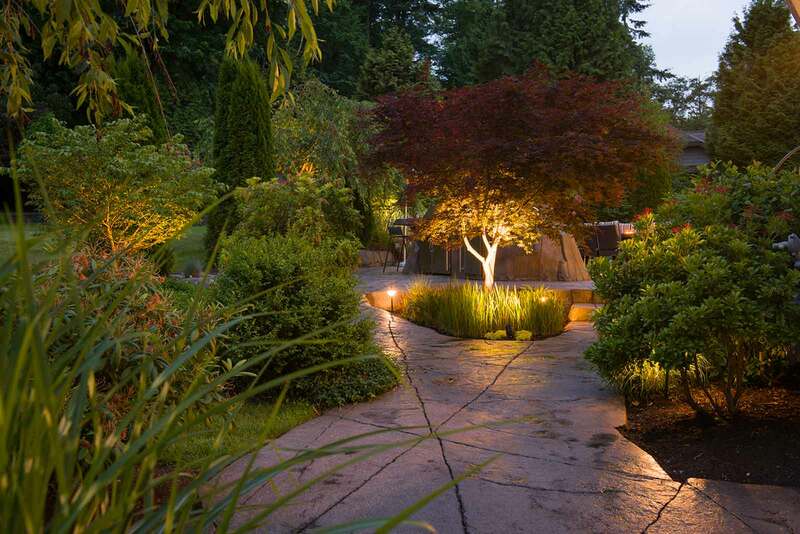 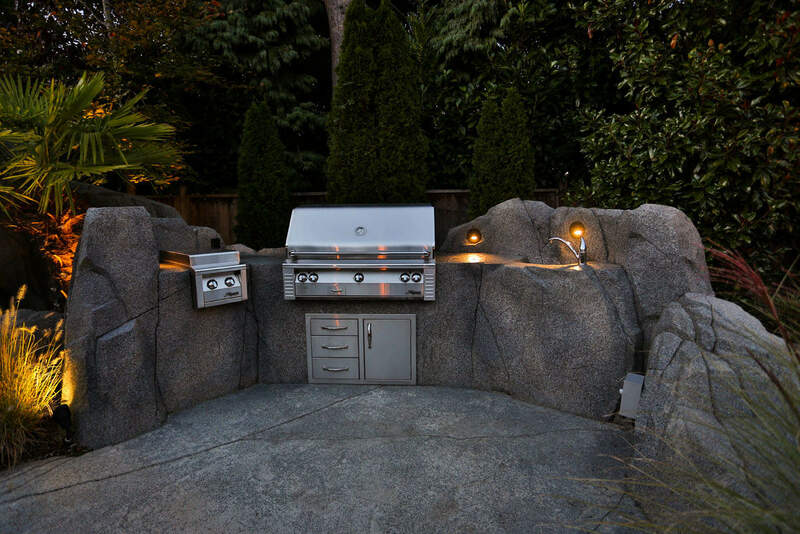 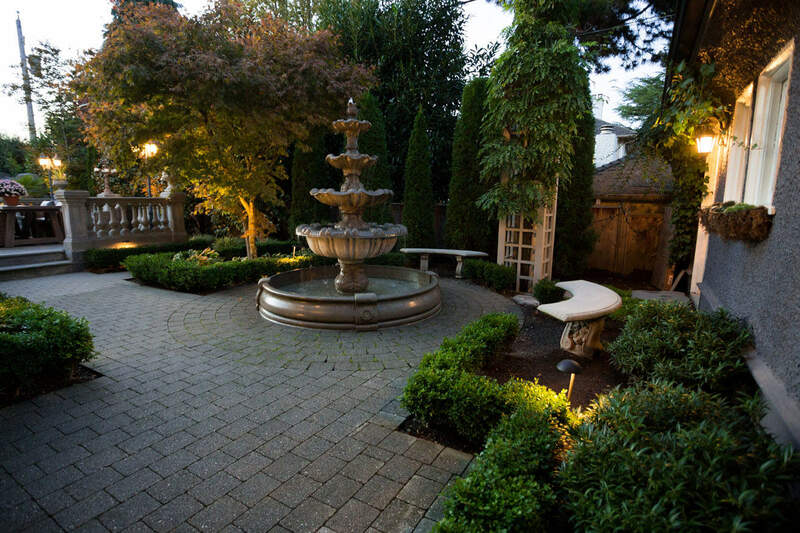 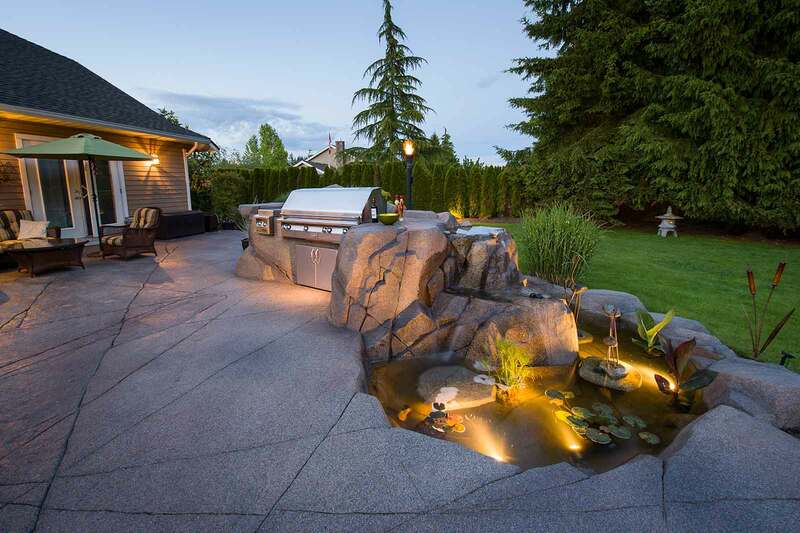 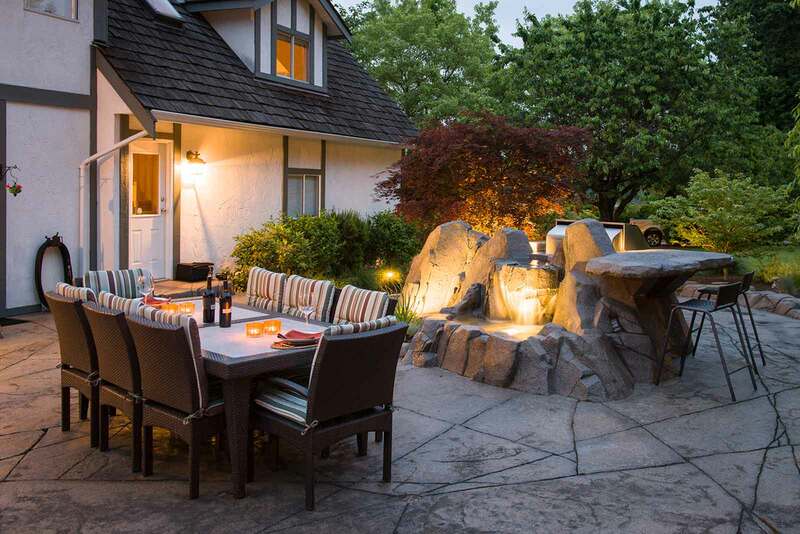 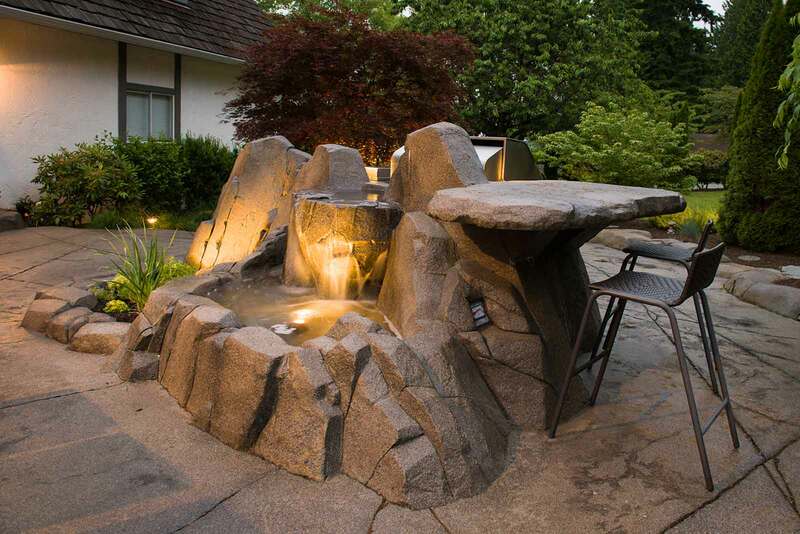 The finishing touch on your beautiful backyard is lighting. 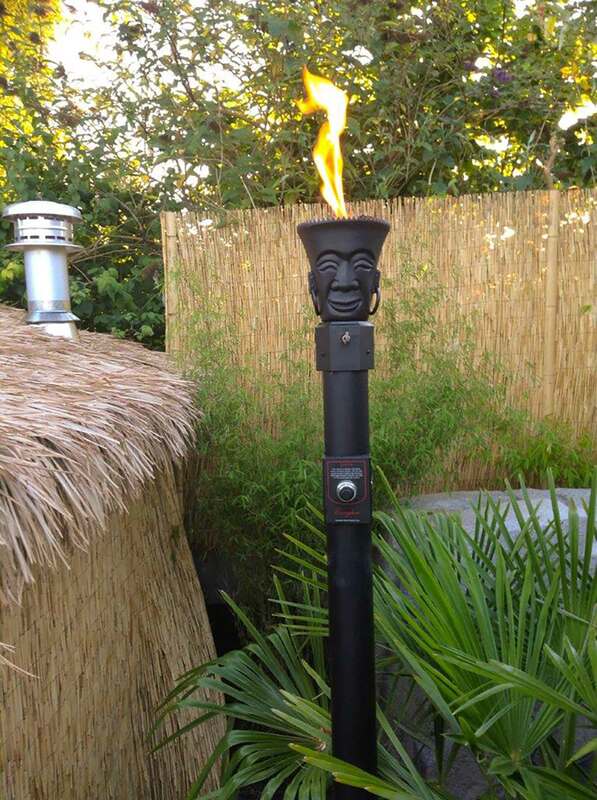 Using state-of-the-art lighting systems we can add personality to your slice of paradise with beautiful creative lighting including LED lights and gas tiki torches. 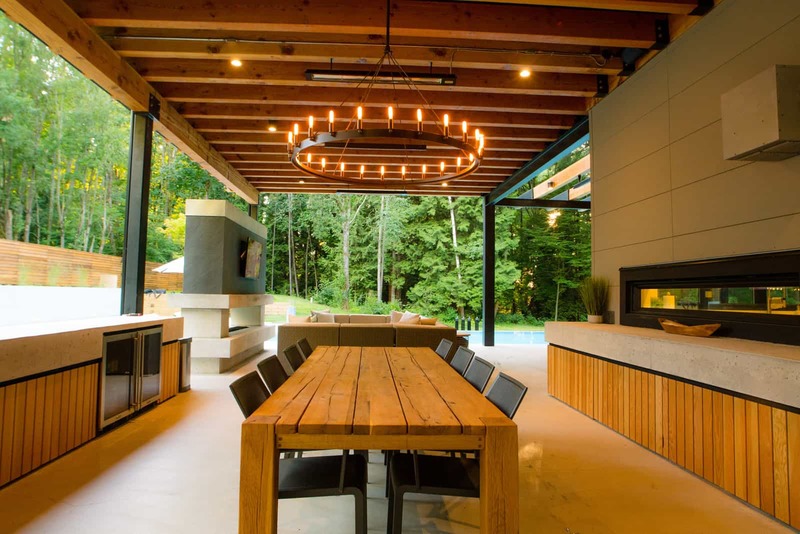 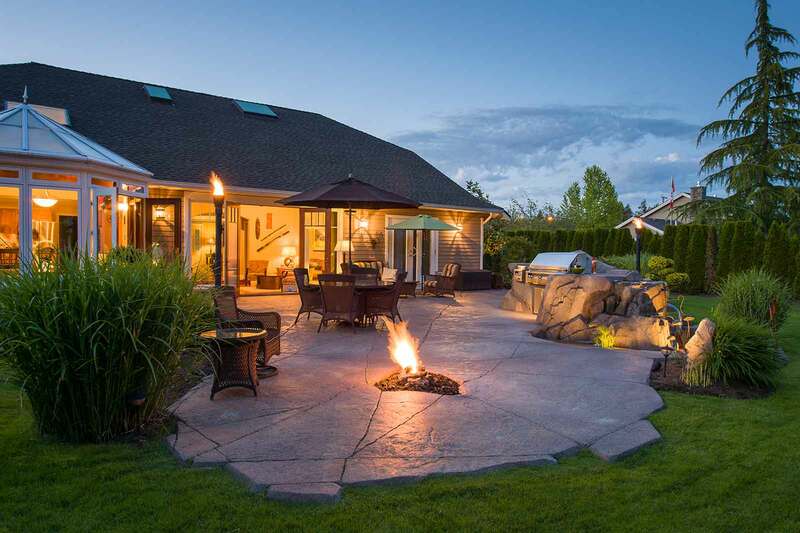 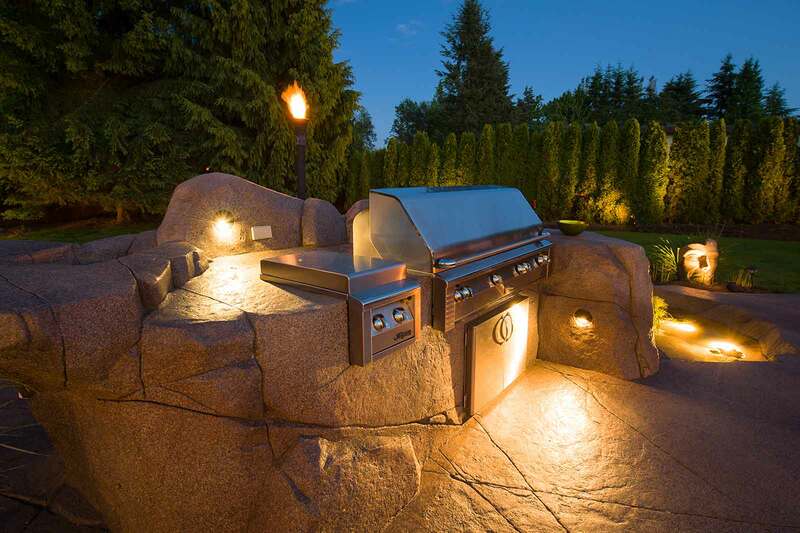 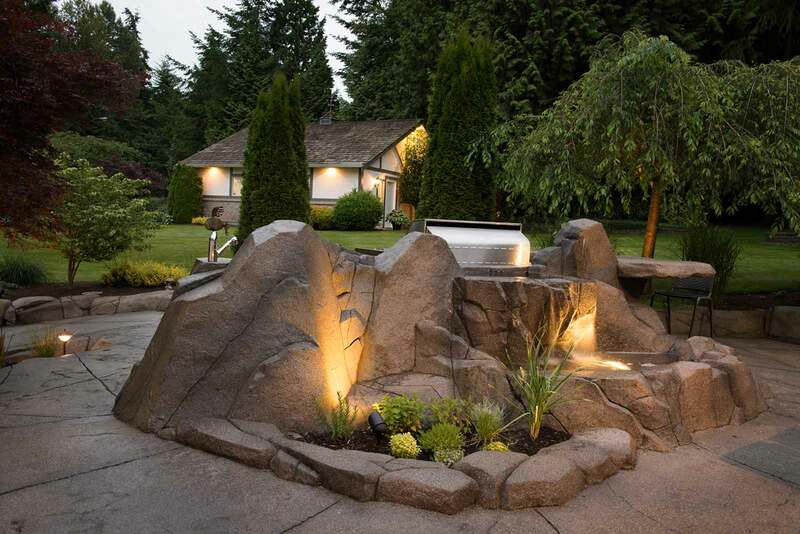 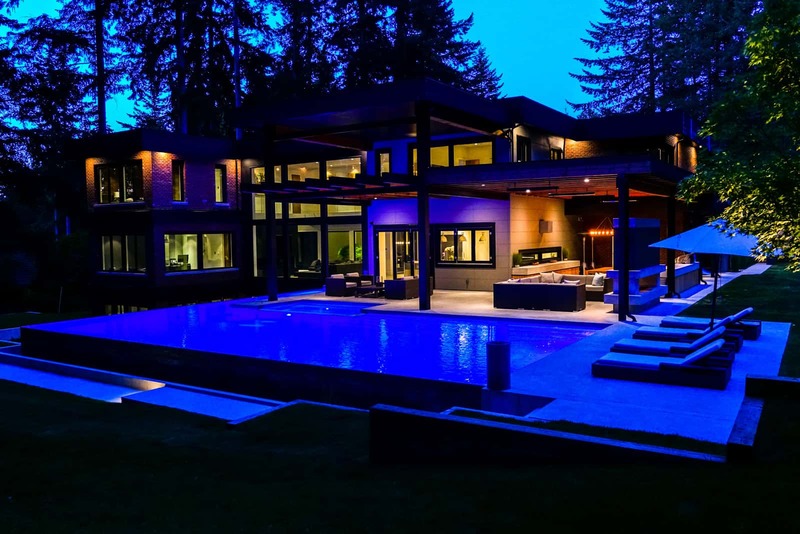 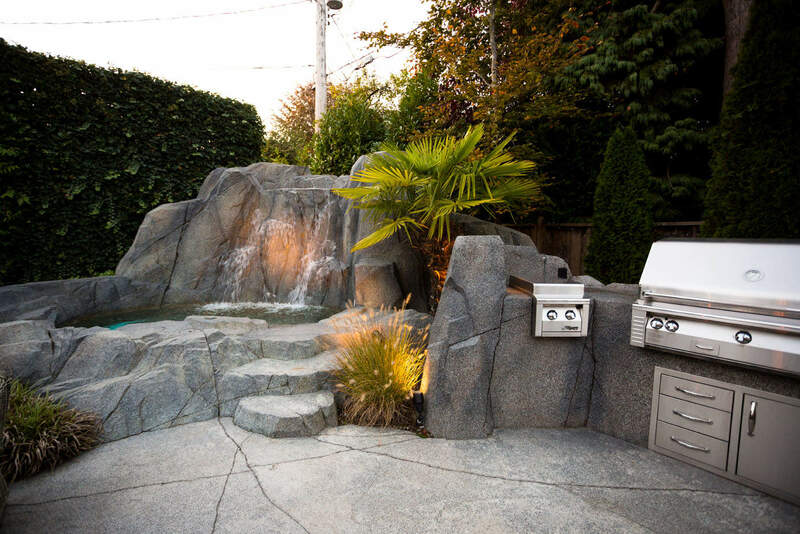 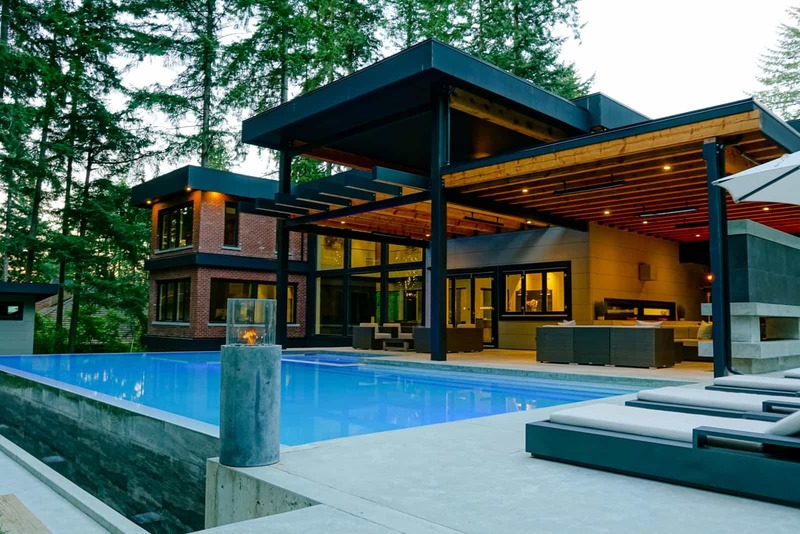 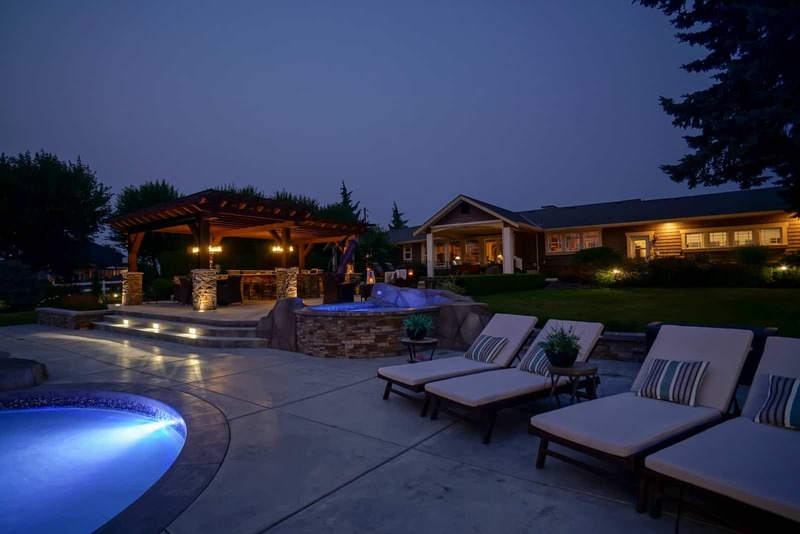 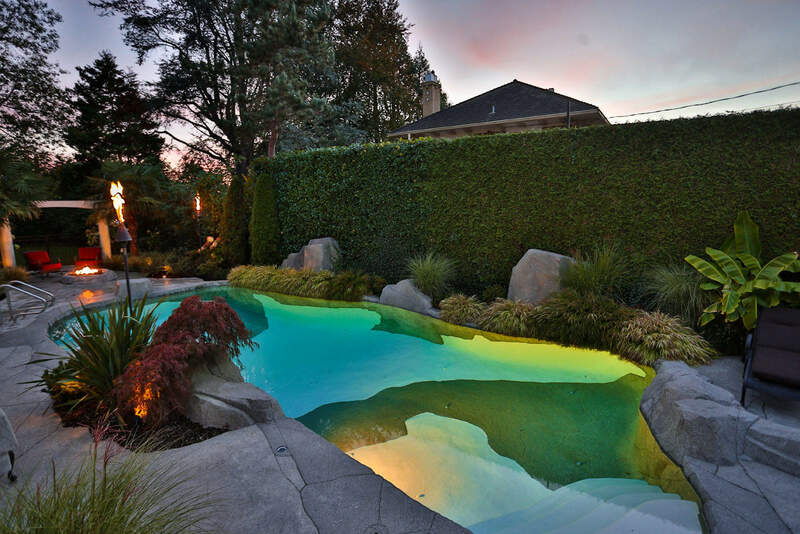 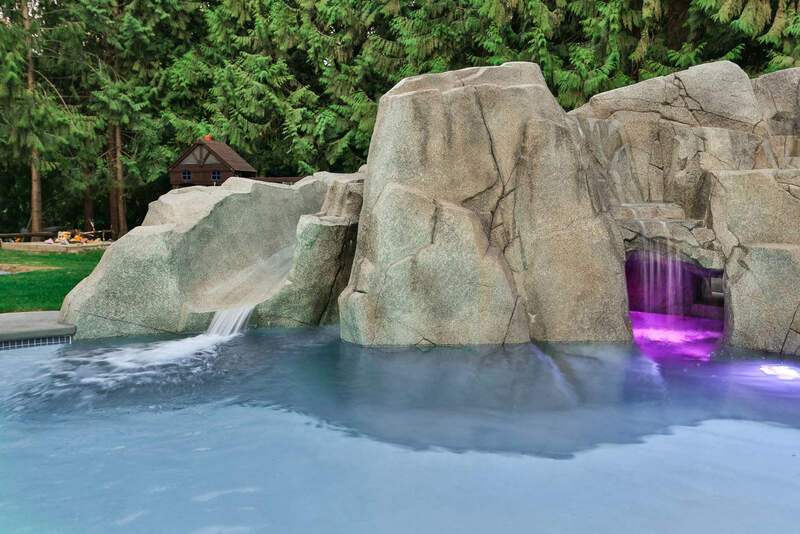 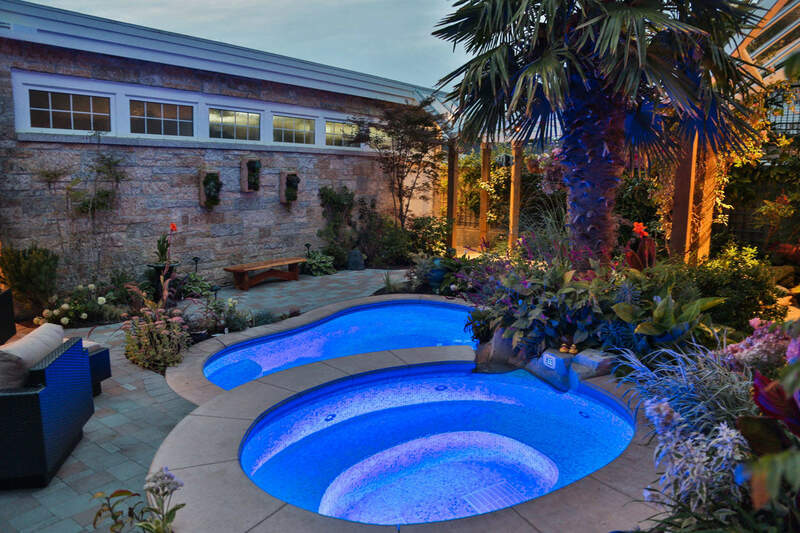 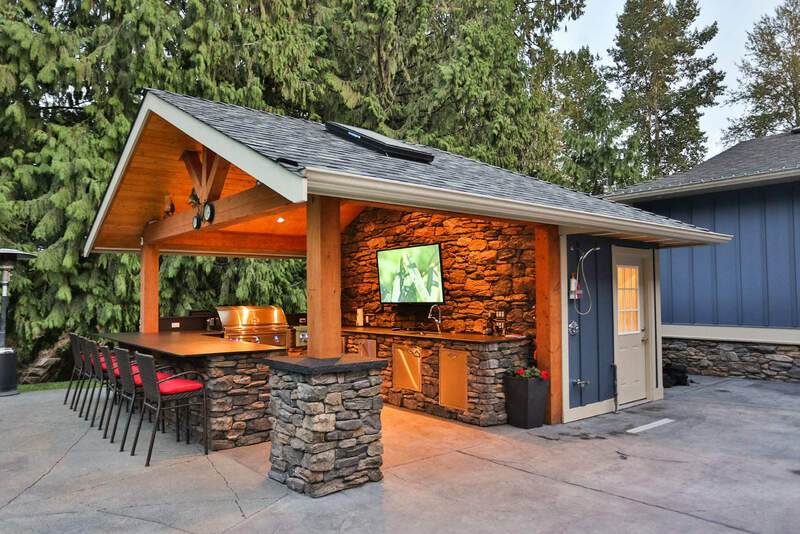 Lighting adds warmth to your space and is a great way to spotlight feature areas of your beautiful backyard, such as your swimming pool, hot tub and waterfall, or you can use lighting to simply add ambiance for night time use. 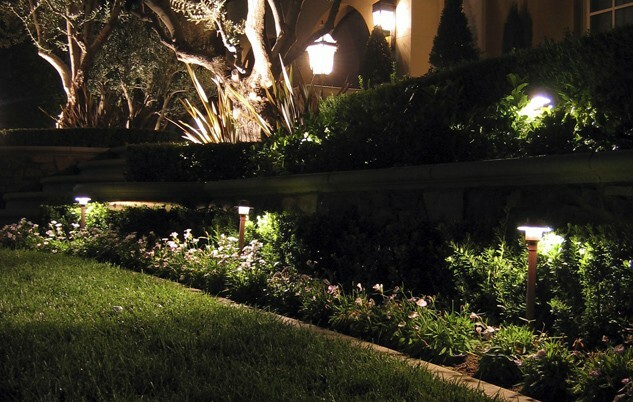 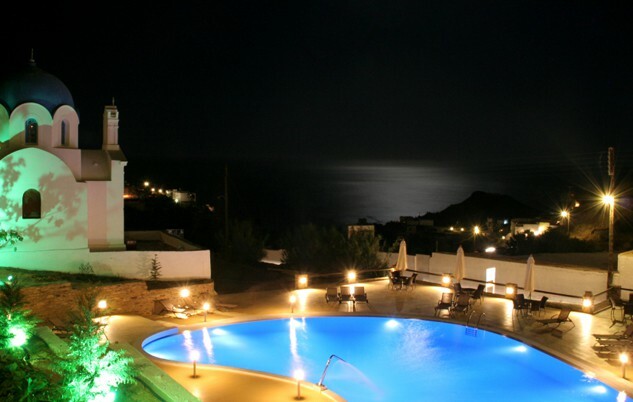 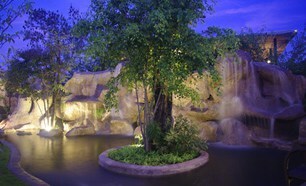 Azuro lighting systems are energy efficient and lasting, because they are specially designed for outdoor lighting use. 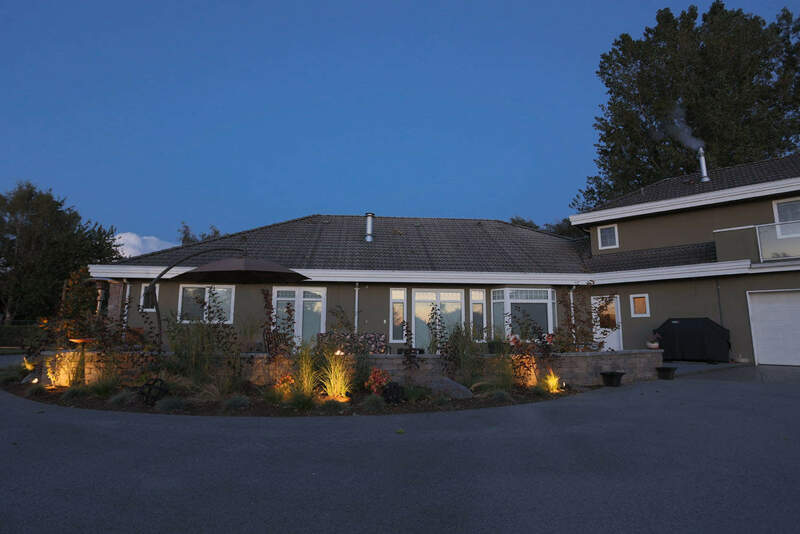 They are fully automated so you can program lighting to go on and off daily at the same times. 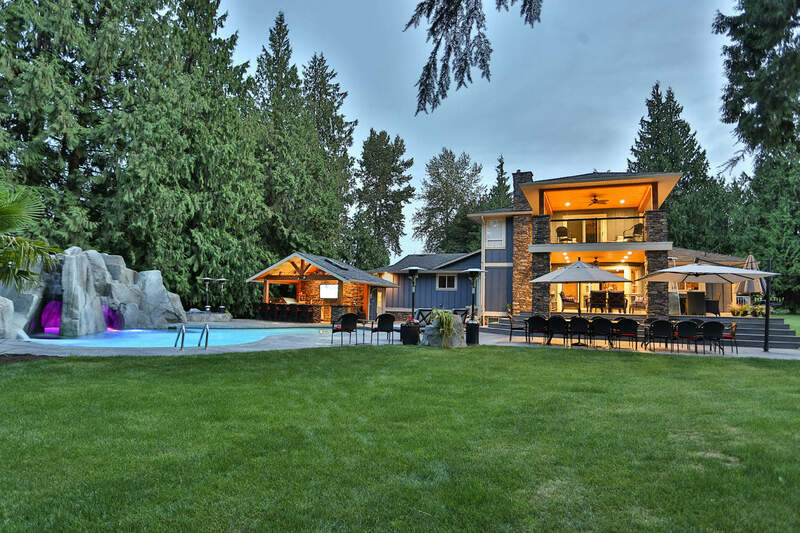 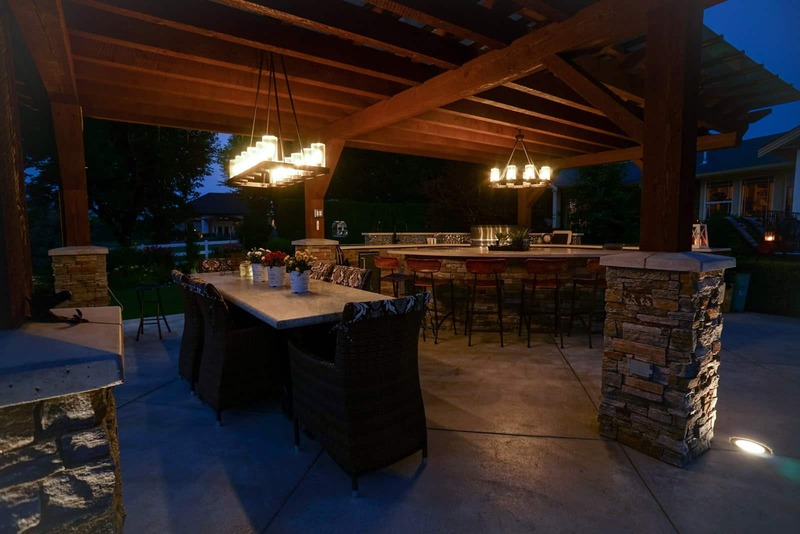 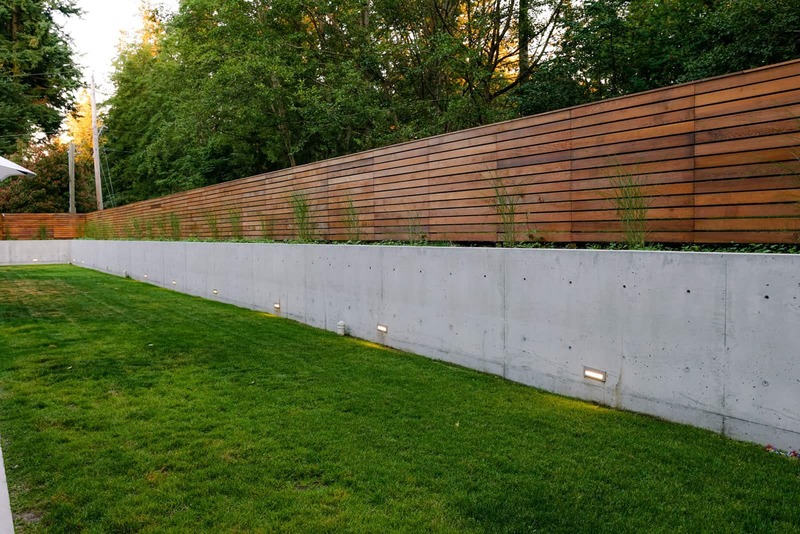 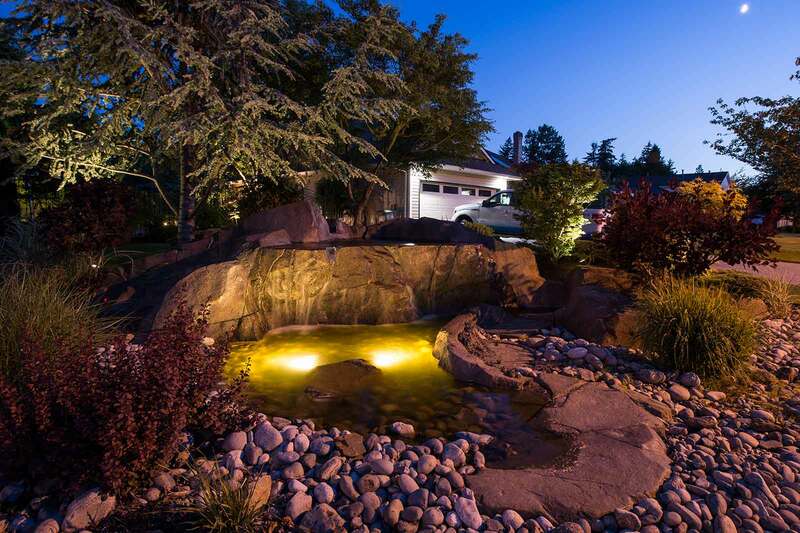 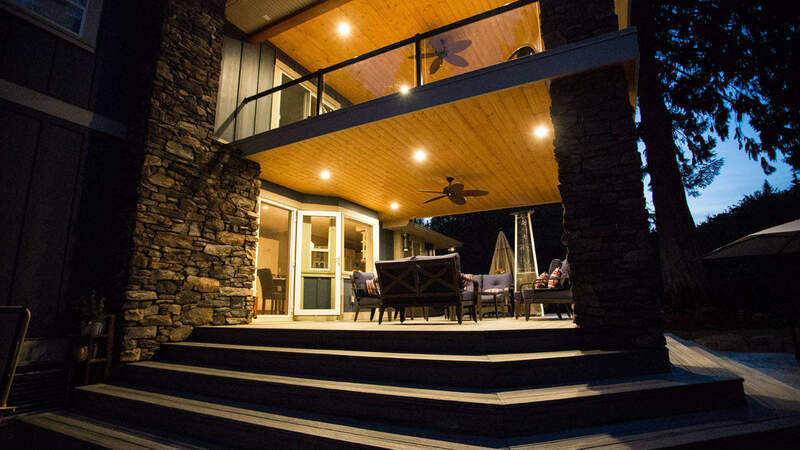 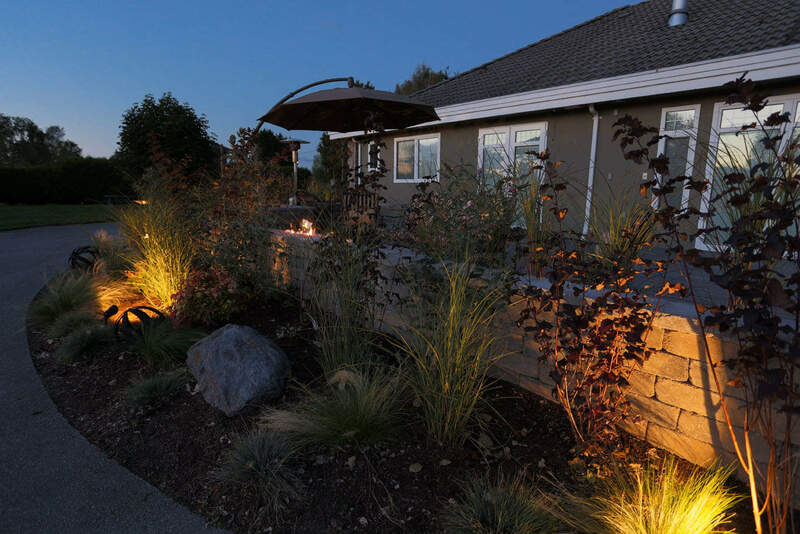 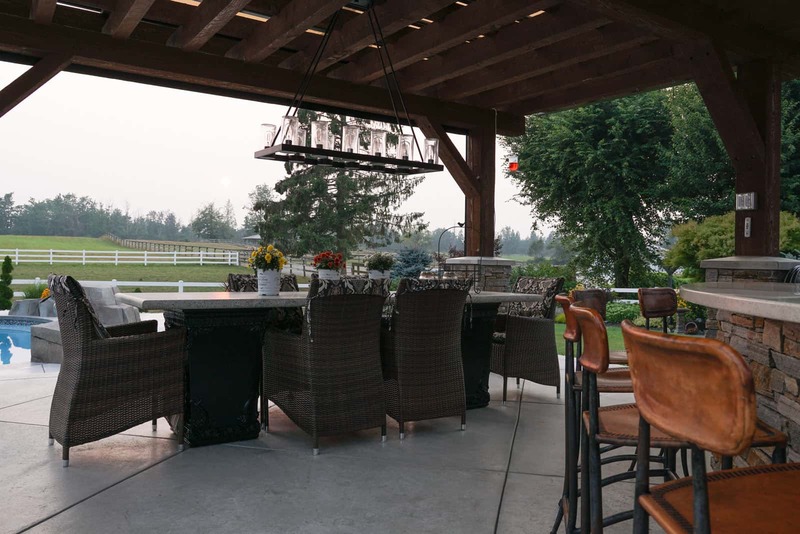 State-of-the-art, fully automated outdoor lighting systems by Azuro add the finishing touch to your beautiful backyard, so you can sit back and enjoy your private sanctuary.